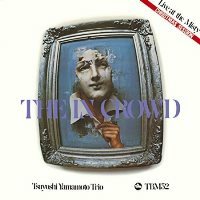 The In Crowd is the last of the three albums that came out of the legendary Christmas sessions at The Misty, a Tokyo jazz club, which took place in December 1974. The Three Blind Mice producer Takeshi "Tee" Fujii wanted to record Yamamoto before he left for the U.S. to study at Berklee School of Music, and almost all of the performances were so good that he decided to release three LPs instead of one that was originally planned. Following the two previous LPs Live at the Misty and Blues For Tee, this third release features Yamamoto's interpretations of songs and tunes which are not standard jazz material: Stevie Wonder's "For Once In My Life" and Ramsey Lewis' "The In Crowd." His capable bassist Akira Daiyoshi is also featured on Ray Brown's "Blues In The Basement." This is another great, swinging piano trio album and a must-have item for fans of Tsuyoshi Yamamoto! Recorded live at The Misty, Tokyo on December 25, 1974. Blu-spec CD is compatible with all regular CD players. Paper sleeve special limited edition.